Community is everything, and is everywhere. But how can a play touring innumerable different communities relate to each and every one of them? 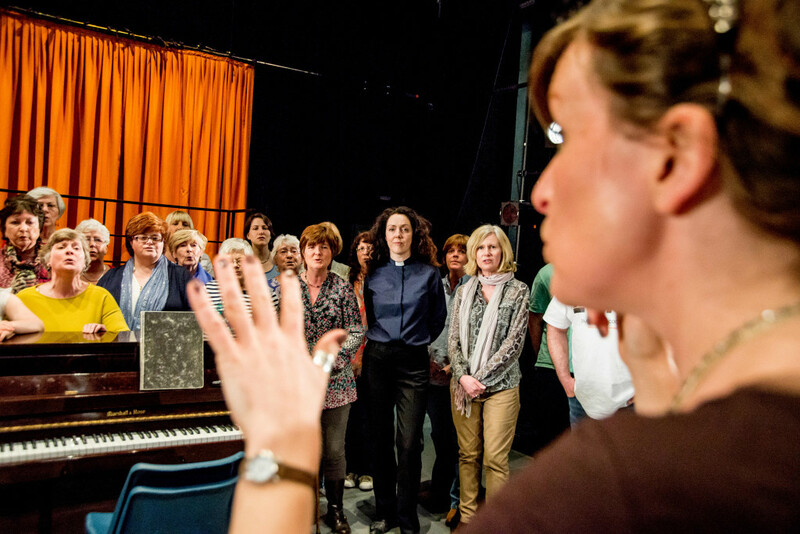 Julie Griffiths discovers how The Events, a now-touring production using a different local choir at each new venue, does exactly that. The first time I heard about The Events was not because it had won Guardian play of the year 2013. It wasn’t that it had been awarded a Scotsman Fringe First, or that it had been written by Scotland’s foremost playwright David Greig. Despite its various accolades, the first time I heard of The Events was because the local choir I sing in was invited to sing in a performance at Brighton Dome which was being produced by the Actors Touring Company. We were given some songs to learn, a brief outline of the story and asked to turn up for one rehearsal before appearing on stage the next night. 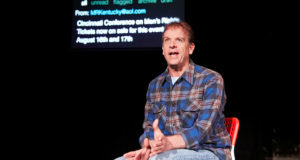 The Events is a play about surviving. It is set in the aftermath of a mass killing in a small community, an artistic response to the 2011 tragedy at Utoya in Norway. 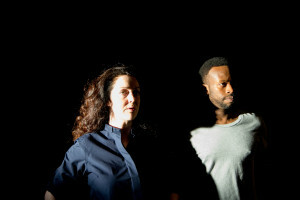 David Greig and director Ramin Gray use the play to question whether there are limits to human empathy and whether it can become destructive in itself. The story is carried by Claire, a young priest, who is trying to come to terms with the mass shooting of her multicultural choir. She wants to understand the killer’s motivation in order to forgive him, and her efforts to understand drive her to the edge. It is a play about grief, anger and revenge but, at the heart of it, is about community and what binds us together. The inclusion of local choirs from the play’s venues tethers the play’s central theme to its actual surrounding communities Ramin Gray says “Every act of theatre revolves around a transaction between two communities: the performers onstage, and the improvised community that constitute what we call an audience”. 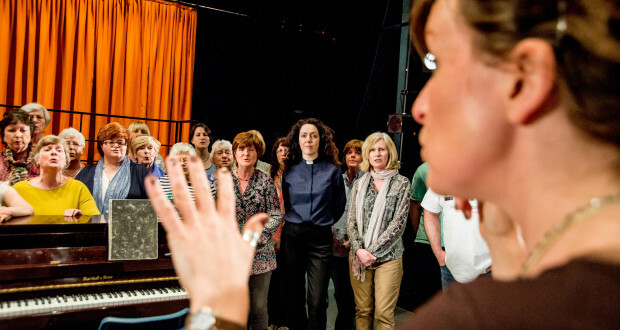 In The Events a local community choir is placed on a tiered platform at the back of the stage acting as a mirror of the audience. The choir, like the audience, are experiencing the play for the first time, so the audience is watching the experience the choir are having. When the root of the piece is the importance of accepting each other regardless of ‘tribe’ this sense of togetherness that’s created in the mirroring of the audience and the choir is priceless. It wouldn’t be the same if we toured with the same choir as there would be no sense of recognition, camaraderie or support. The choir would then simply be another actor on the stage, whereas now they are a reflection of the very community they are singing for. I think by distancing you from ‘pretend’ it forces you to imagine. That imagining is more powerful than being spoon fed. 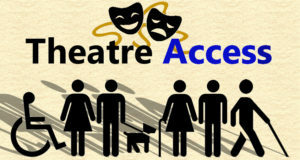 Click here to get more information about the currently touring production of The Events.